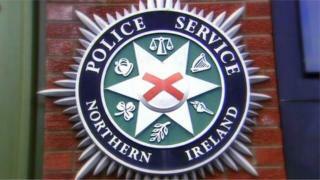 A motorist is in custody following an accident in County Tyrone which left another man trapped under a car. Police are appealing for information after the accident at the Coolnagard Upper area of Omagh on Saturday at around 11.50 GMT. Officers confirmed a man in his 30s was hospitalised after the accident in which he was reported to have been trapped under the vehicle. His condition is described as "critical but stable". A 37-year-old man is in police custody after being arrested on suspicion of a number of motoring offences in connection with the one vehicle accident. A PSNI inspector said: "Enquiries are continuing and we would appeal to anyone with any information or who witnessed the vehicle driving erratically in the area to contact police."